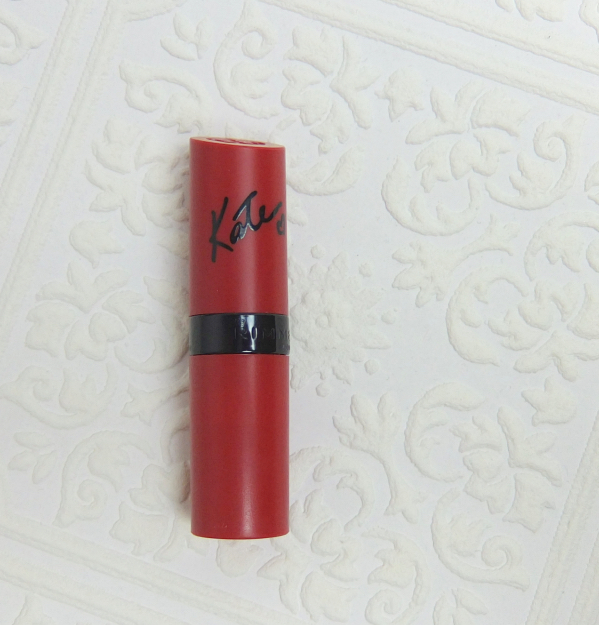 The bold lipstick tube with a matte finish is actually quite nice for something that's under $5. I will say it again. This orange red (with a tiny bit of pink thrown in) is gorgeous. 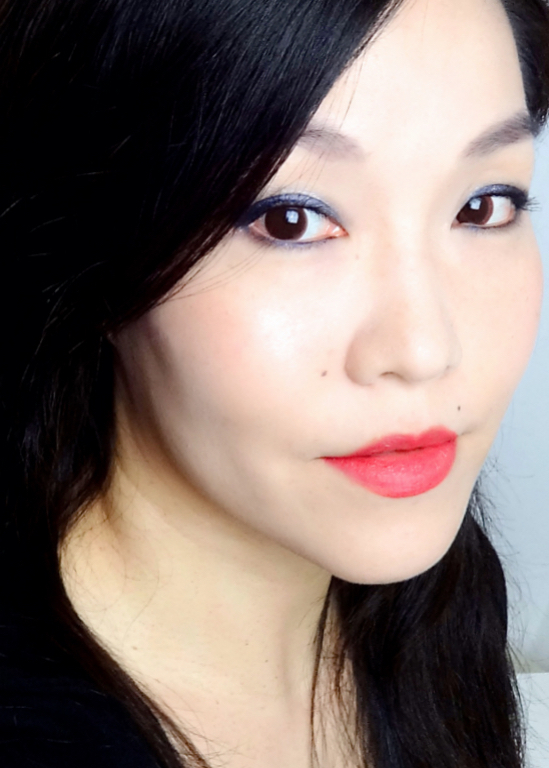 I have to work a little hard with this lipstick since it does not glide like Chanel Rouge Allure Velvet (reviewed here) nor does it feel light as Revlon Super Lustrous Matte (reviewed here). It turns out I have a few other colors that are similar but in different finish and opacity. Revlon Fire & Ice still is the most difficult shade to pull off. 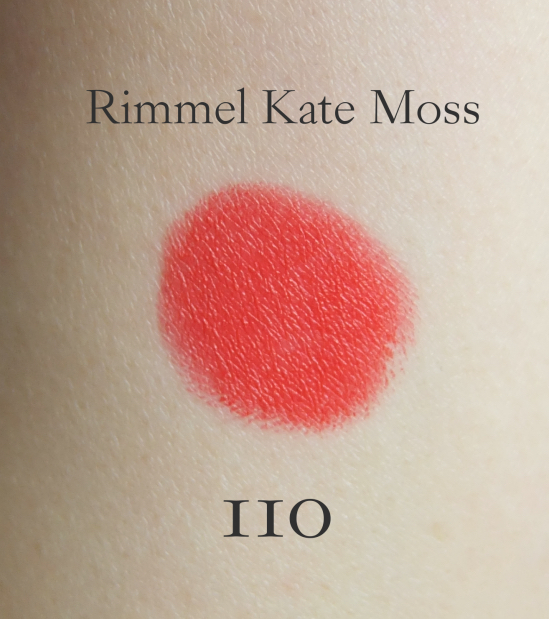 Here is the best I could do with Rimmel Lasting Finish by Kate Moss 110. Have you had similar experience? Loving the color but not the formula? 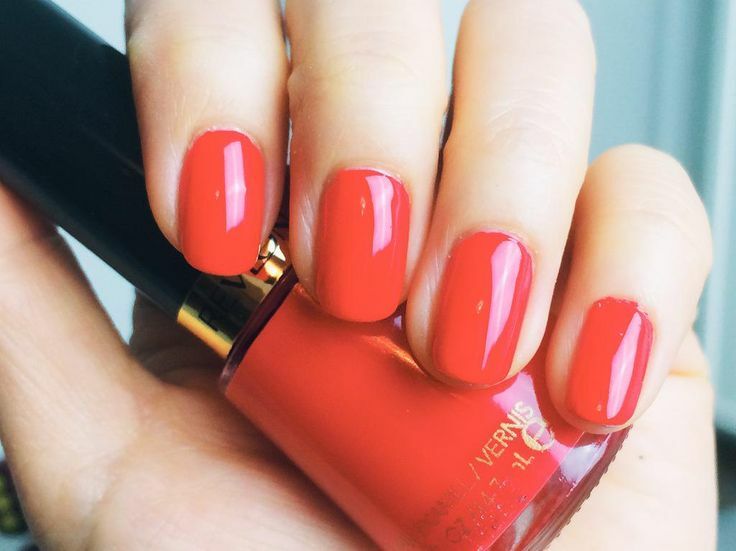 Do you have a better suggestion for this pretty orange red? Hmm, interesting. I had a great experience with these lipsticks so I guess it depends on person. Eh, the texture sounds terrible. I never have patience for that kind of thing. I mean, the MAC mattes are dry, too, but not *so* terrible. Maybe I'm just kidding myself, hahaha. You could wear gloss over it! Like those otherwise useless Lancome tubes! Of course, that defeats the matte finish, but maybe it would help you get used to the color. ditto. terrible dry sounding texture. There are rich mattes, but then there are lip-dessicating mattes. congratulates Rimmel! You've just mastered the latter! I think aside from a shimmery gray, every lipstick (liquid lip color) from Rimmel are slippery, drying and never stays inside my lips. I have shade 109 in this exact formula and it's actually the best of all (well, that shimmery gray one was smooth but I mean the normal colored ones), I like the shade enough to/actually I love it, keep it rolling around for two years but I was also looking at other options. They have a shimmery gray??! ;D 109 is a pretty color, too! (Just googled it) I guess the formula is inconsistent, then. I can't really complain since I find Chanel lippies have no consistency, either. 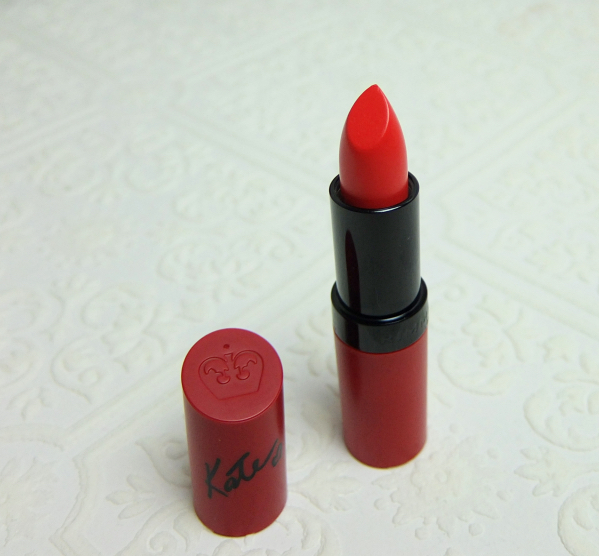 Oh, I mean they (all rimmel lippies) are consistently crap, but the red tubed lasting finish by Kate formula is best of all (rimmel), but still crap among drugstores. Since it's better than NYC/wet n wild and not as pricy as maybelline Revlon, I just don't hold the quality against it. The color is great and I am just getting what I pay for. As the U.S. based drugstore stuff is getting pricier, my attention was redirected to Japanese drugstore again. I know nowadays a lot of people seem to love Korean brands but I honestly don't see the appeal. The colour is gorgeous! But I hated the formula too. Yuck. I know some of the glossy sheer ones end up drying my lips, but boy, this one is on a whole different level of dryness! I love the color, Lena. It's really a pity the formula is so dry! 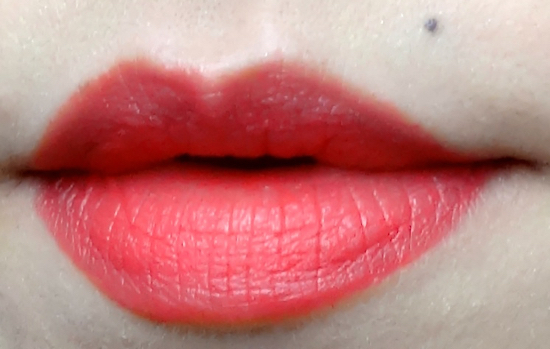 For orangey lipsticks, I quite like the Urban Decay Sheer Revolution in Sheer Slowburn. Have you tried any of those? I'm glad to hear you're enjoying the range, though. The colors are really gorgeous! The color is gorgeous, and I love that it inspired a matching nail polish situation. I have definitely had plenty of experiences of loving the shade but not the formula. I remember buying Fire & Ice a year or two ago after seeing it online and WOW can I *not* pull that one off! Yeah, Fire & Ice is like...a unicorn. I can only wear it as a stain, which kind of brings me to the conclusion that I don't need to bother with this. I can just wear Fire & Ice and blot a heck off it so it looks matte!